I started OnlineCasinos.net back in 2001. 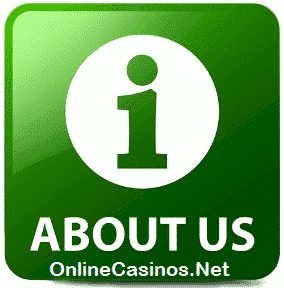 At that time the online casino world was very much like the old wild west. There was almost no regulation or laws for online casinos, so it was very hard to find a good gambling site to play at, that was both fair and trustworthy. After some terrible experiences – like when I in 2002 tried Crystal Palace Online Casino, a place that luckily is closed now – I decided it was time to help others avoid the bad places to play. So I started to test each and every online casino on different parameters like customer support, payout time, game selection and trustworthiness, and I published all of my knowledge on OnlineCasinos.net. Since then I have been testing new casinos and will continue to do so in the future. Now I have been so fortunate to be able to hire some help, and we are now a dedicated team of 5 people that all love to gamble testing, writing and doing our best to help others find not only good sites but the very best sites, to place your bets. You can rest assured, that we only list the fully licensed and regulated online casinos and that we have tested these places for real money play and always have made a reputation check. Without the help from our users, we would not be where we are today, so please keep sending us ideas to admin @onlinecasinos.net, suggestions, and sites, that you think we should review. I feel that now – after 17 years of intensively playing and testing games and places – I can call myself an expert in online casinos. My passion is mostly towards online slots, roulette, and blackjack games, whereas games like craps and bingo never really had my interest. So if you are looking for advice on these games, I would recommend that you do a new search on google to find someone, that has the expertise in these games. I have focused on slot machines, roulette and blackjack on Canadian and UK online casinos, because it is my experience, that this is where you find some of the very best places to play. Over the last years, I have become very interested in live casinos (also mainly in Canada and UK) because I like the feeling of being able to talk to the dealer. Live casino games are really is the closest one can come to being IRL in Las Vegas. One last thing I would like to mention is that gambling should be fun and exciting, which means that you should never play for more money than you can afford to lose. And if you start to notice addiction signs, you should seek help right away. I recommend every player to read our section about responsible gambling – before they start playing – so they know the signs of problematic gambling behavior and where to seek help if it becomes necessary.